When your and your family’s safety is important, there is nothing quite like the peace of mind that having a security system installed in your home or business brings. Property crime rates in Fort Lauderdale are more than double the national average, making having a home security system almost a necessity to protect the ones you love and your belongings. Because of this, installation companies are a dime a dozen in the area, but knowing what to look for in a security system installation company in Fort Lauderdale will help you weed through the potential scams and keep as much money as possible in your wallet. Unfortunately, with so many options for security system installation, it can be difficult finding an affordable security system installation company in Fort Lauderdale, Florida. Prices vary greatly from place to place, with just as many variations in service and package features. The question you should ask yourself first is, “Do I really need a security system installation company Fort Lauderdale?” It can be scary thinking your family or your belongings could be vulnerable to theft or injury, but often times, a security system can be a costly nuisance, especially if monthly monitoring is part of the deal. Here are some tips that may help you feel safer without the need for a security system. Always lock your windows and doors when not at home. You’d be surprised at the number of robberies that take place simply because a homeowner didn’t lock the door on his way out and a thief simply took advantage. Install dead bolt locks on doors and substantial locks on windows. These are often enough deterrent to keep would-be thieves out of your house. Install motion activated lights inside the home. Even if a burglar manages to break in, lights turning on by themselves often scares them away. Another good idea is to put lights on timers so they come on at night if you’re not home. A lit house is often passed over for one that is dark and obviously not occupied. Have someone pick up your mail and newspapers if you’re away. Nothing says, “I’m not home!” like a pile of newspapers on your front porch. The good news is that despite the hassle of remembering to turn the system on when you leave and having to hurry to disarm it when you get back, most people with home security systems find them highly effective in protecting their homes, and they enjoy the peace of mind that comes with it. The Internet is full of home security companies willing to install a system in your home. Unfortunately, it could cost you anywhere from $2,000 and up (depending on what features you have included) for installation and three years of monitoring service. It’s a hefty chunk of money to dish out at once, for sure. You’ll probably find much of the same within your local area. When it comes to security, Tech Pro is the expert to call. 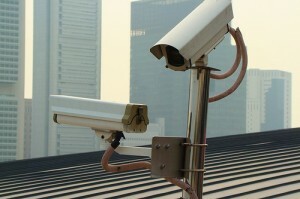 Even if you prefer to install your security system yourself, they are on hand to help. When you contact Tech Pro about installing a security system, they will come out to the property and conduct a free consultation. They will make recommendations and talk to you about your needs. Once a detailed plan is in place, your installation appointment is scheduled. Unlike other security system companies, Tech Pro is able to handle last-minute appointments because they have everything in stock in their warehouse – there’s no need to wait for parts to come in. After everything is installed properly, the technicians will network and configure everything to allow you to operate your system properly. The last step is training: we train you how to use all the equipment before we leave. If you would like to contact Tech Pro, you can call 866-573-8878 or visit their website at www.techprosecurity.com. Let the Tech Pro people show you how affordable it is to have the peace of mind you desire.